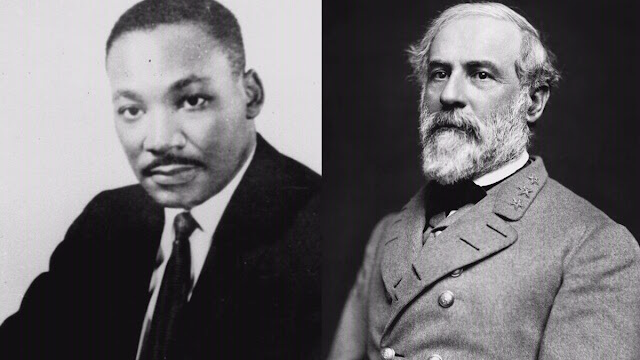 A proposal to end Arkansas' dual holiday for Robert E. Lee and slain civil rights leader Martin Luther King Jr. easily won Senate approval Tuesday, but faces an uncertain prospect in the House where a competing plan would honor the Confederate general the same day as the nation's first president. The Senate voted 24-0 in favor of the proposal to remove Lee from the state and federal holiday honoring King on the third Monday in January. Only two other states, Alabama and Mississippi, honor the men on the same day. "It's a day spent in prayer. It's a day spent in remembrance. It's a day that needs to stand alone," Republican Sen. Dave Wallace told the Senate before the vote. "It's a day that needs to stand for Martin Luther King." The proposal would designate the second Saturday in October as a state memorial day, not a holiday, to honor Lee. It also requires the state to expand what is taught in schools about civil rights and Civil War history. Republican Gov. Asa Hutchinson has urged lawmakers to approve the change, which he says would help unify Arkansas and improve its image. "While both men have left their mark on history, dually celebrating them, as we have done in Arkansas since 1985, is an obvious incongruence," Hutchinson said in a statement after the vote.